Legends about SURFING are found in the earliest stories of ancient Hawai‘i. In about A.D. 400, a form of belly boarding on small wooden planks was introduced to the islands. Later, Tahitian explorers brought their tradition of riding waves with canoes. The ingenious Hawaiians merged the two techniques to create the sport of surfing. 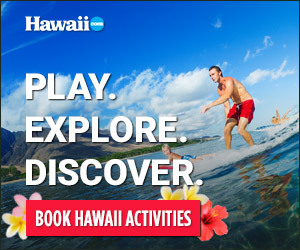 Today, the fascination with this “SPORT OF KINGS” is as alive as ever, and Maui, with its array of beaches, clear waters and year-round surf, attracts an endless stream of surfers. HO‘OKIPA BEACH PARK (known as a choice windsurfing spot), PA‘IA BAY and HAMOA BEACH in Hana all offer world-class surfing, while HONOLUA BAY offers spectators a spectacular vantage point of the breaks from the cliff above the water. Maui also plays host to JAWS, home to some of the biggest rideable waves mother ocean has to offer. Local surfers also call Jaws by the native name of the bay where it is located—PE‘AHI. Big waves at Jaws are hard to predict and should be attempted only by world-class surfers. Learning how to surf is a rewarding adventure. There are LESSONS, CAMPS AND CLINICS for those who want to give it a try. Students generally begin their training riding soft long boards and are introduced to the necessary surfing fundamentals, safety and ocean awareness in a land lesson before entering the small surf. Lessons are fully supervised, and most schools offer beginner, intermediate and advanced lessons. Ask your concierge or a lifeguard where to rent a board or take a lesson nearby.